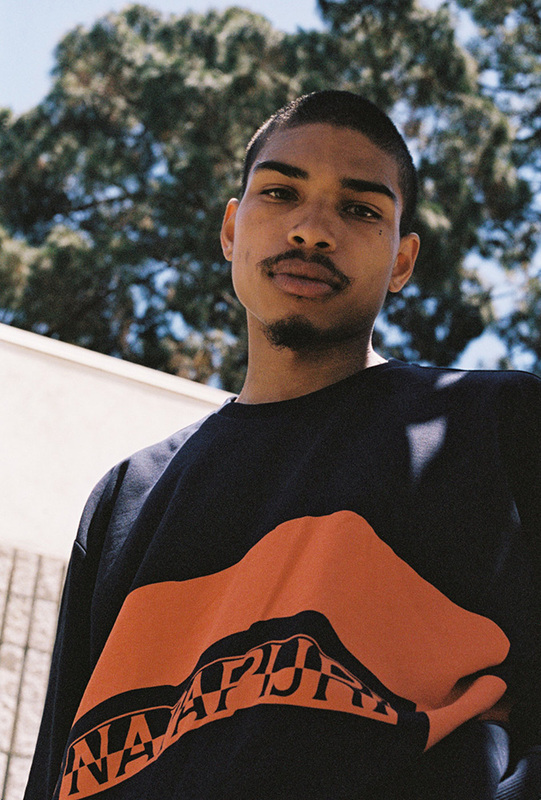 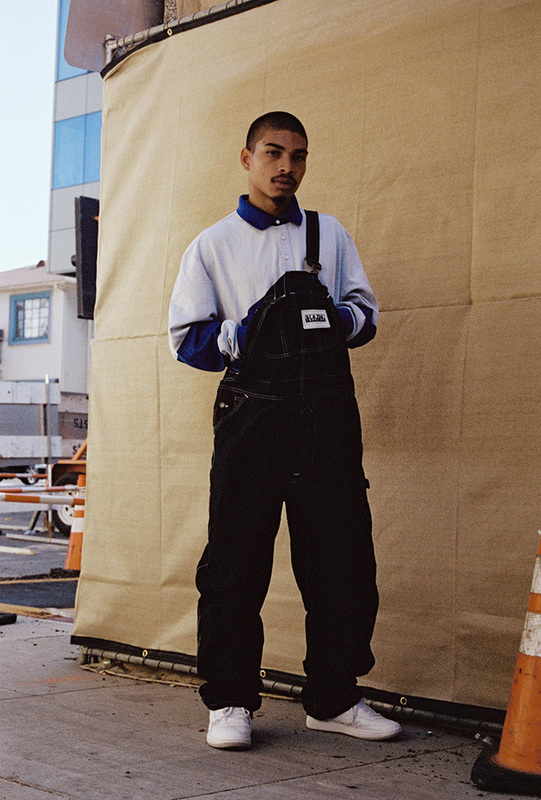 Fall Winter 2017 is the first season of the new iconic collection Napa by Martine Rose. 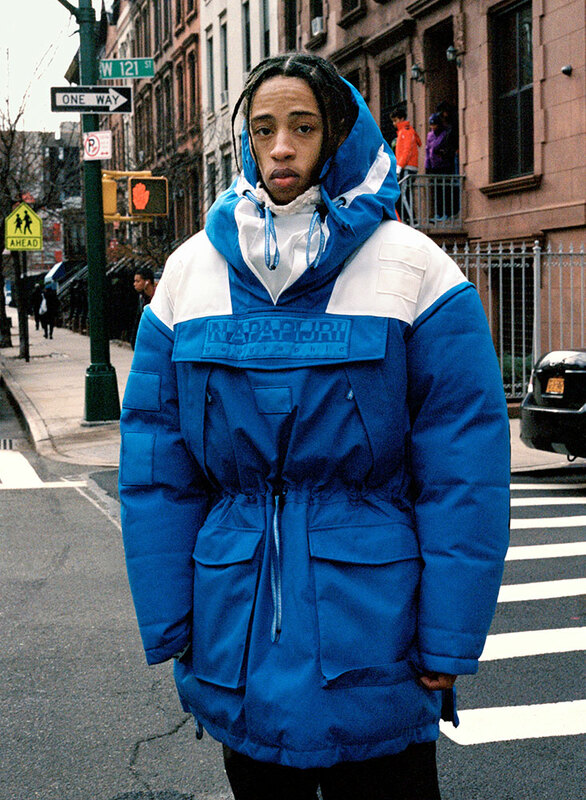 Napapijri brand partnered with London menswear designer Martine Rose to create an exclusive collection that takes inspiration from the 90’s fusion of high end fashion and streetwear, a period with a heavy focus on outerwear in which urban youth took high end fashion from the catwalk and made it their own. 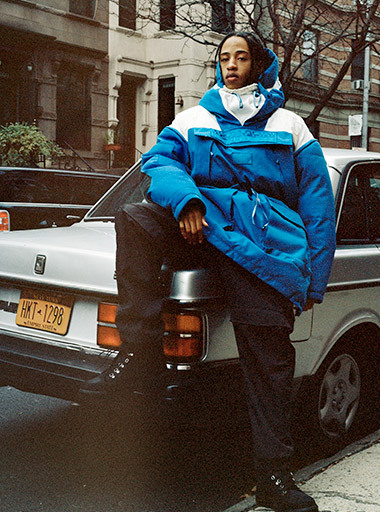 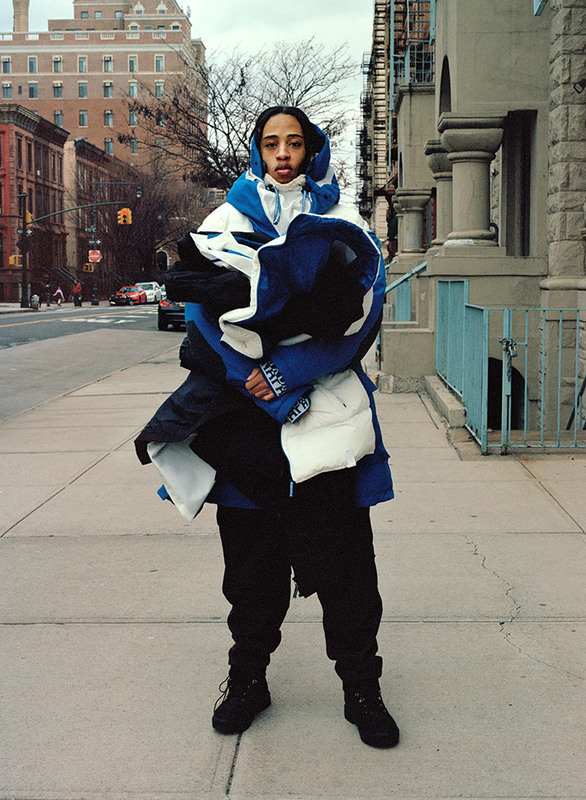 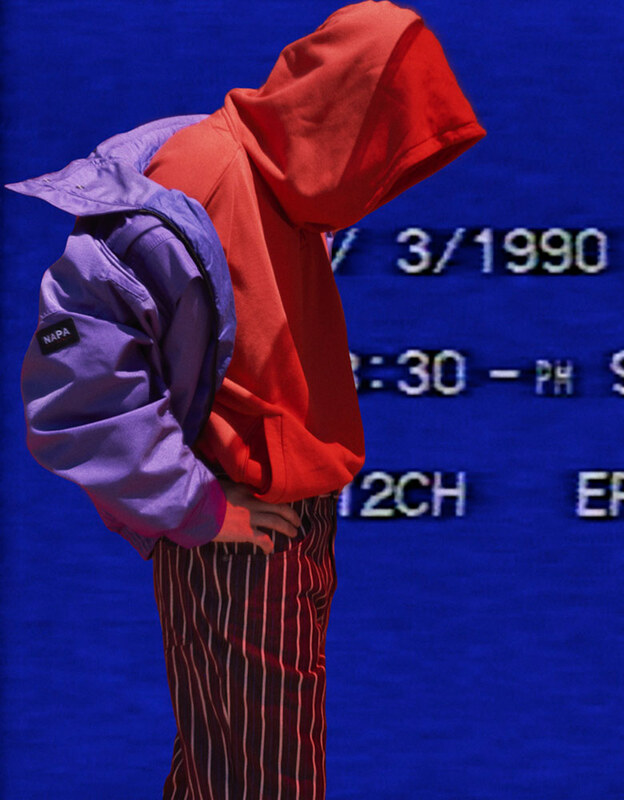 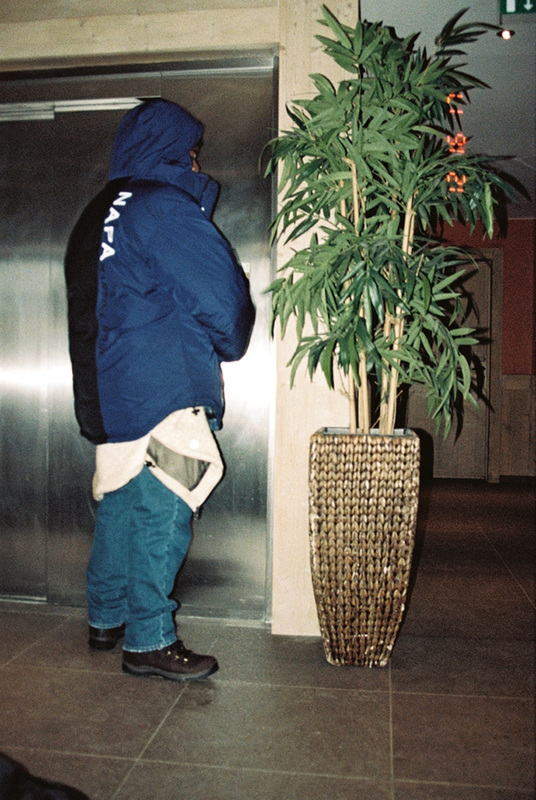 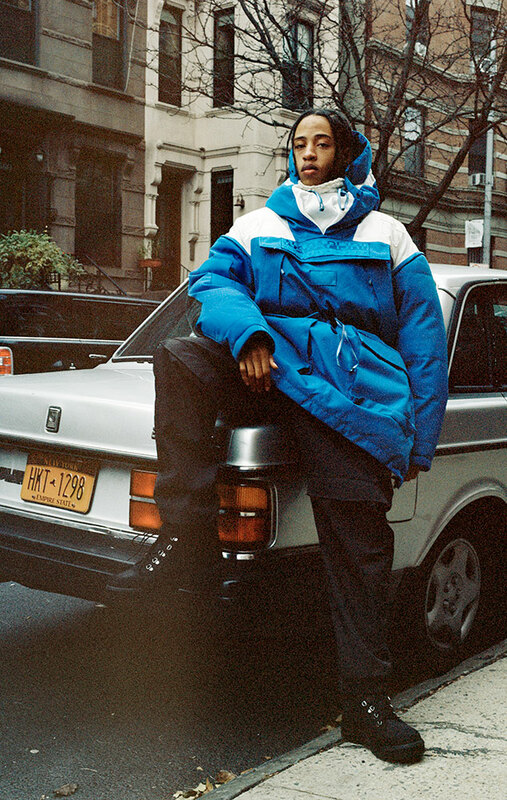 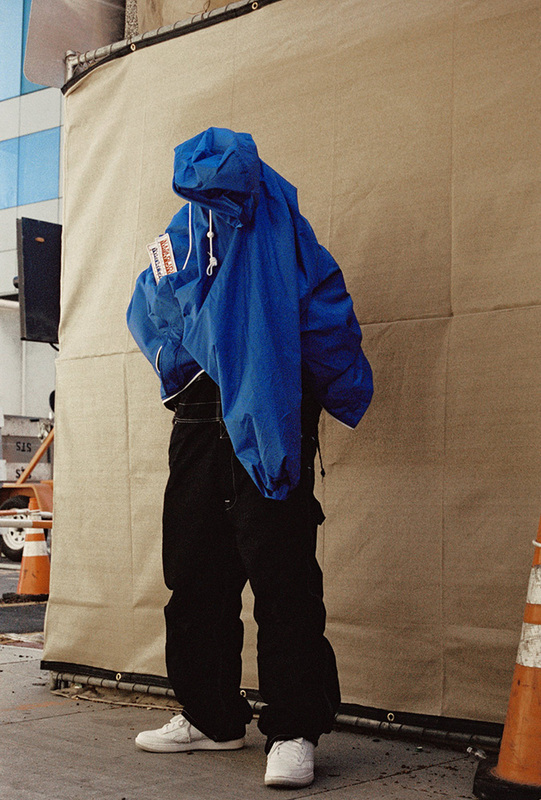 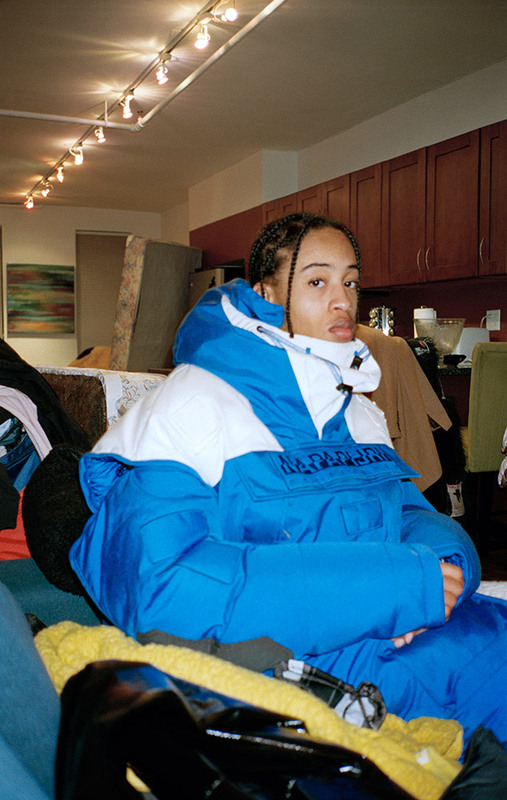 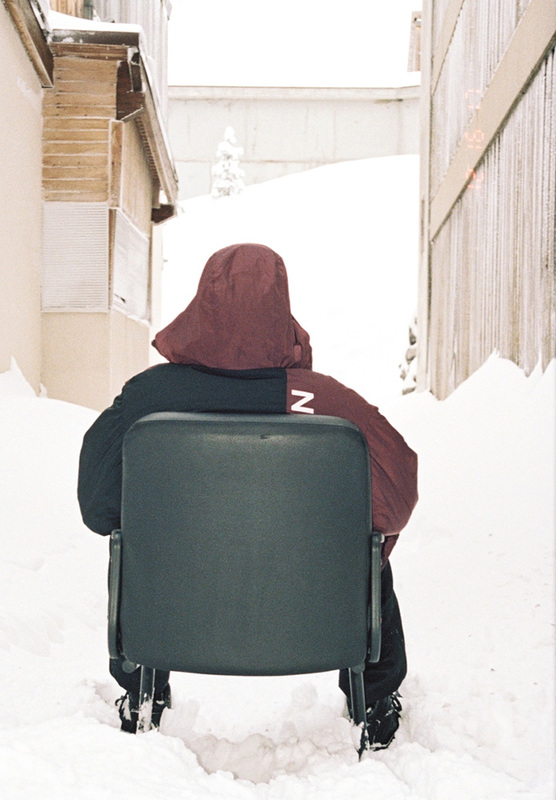 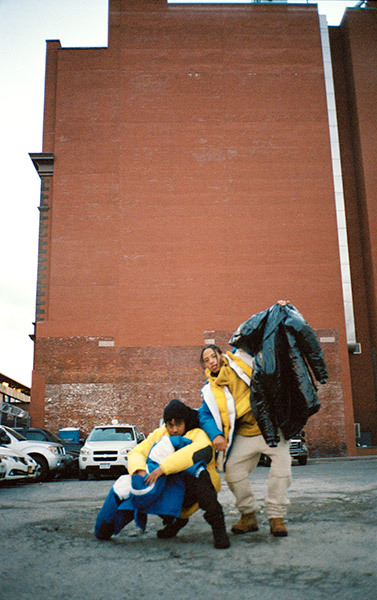 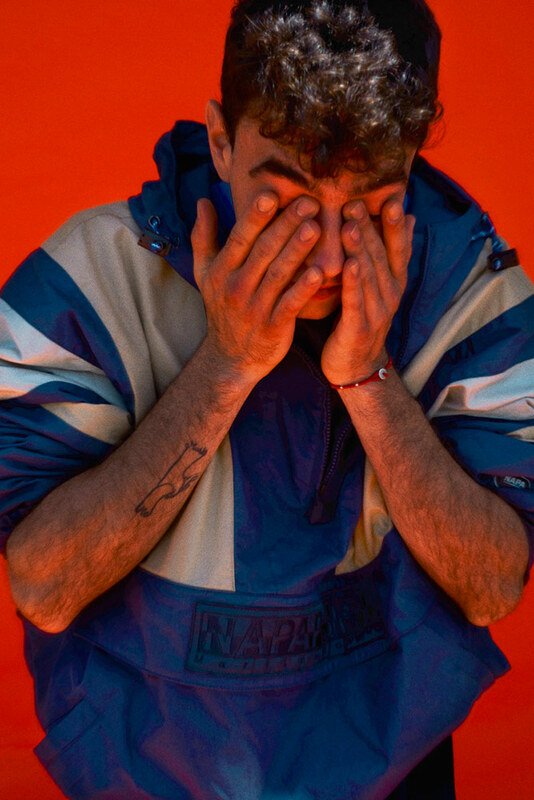 Napapijri’s extensive archive and outerwear expertise allowed Martine Rose to choose individual iconic pieces that inspired her and merge them with the bold block colours from her research. 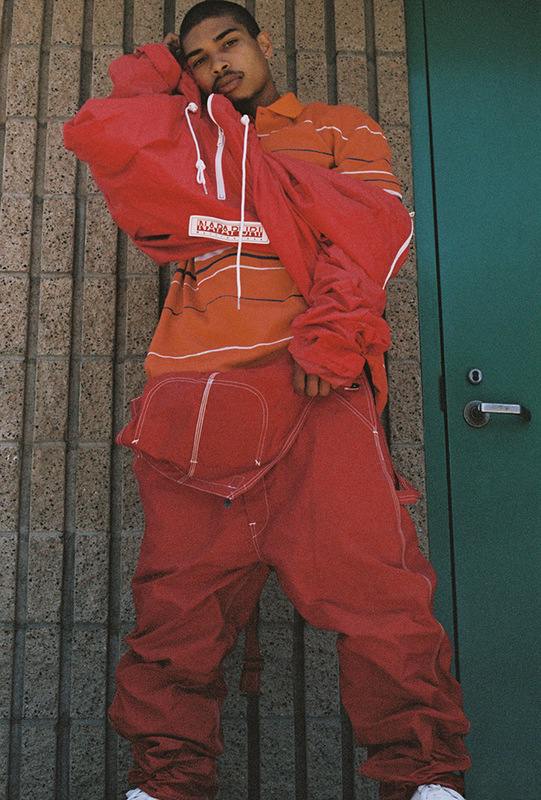 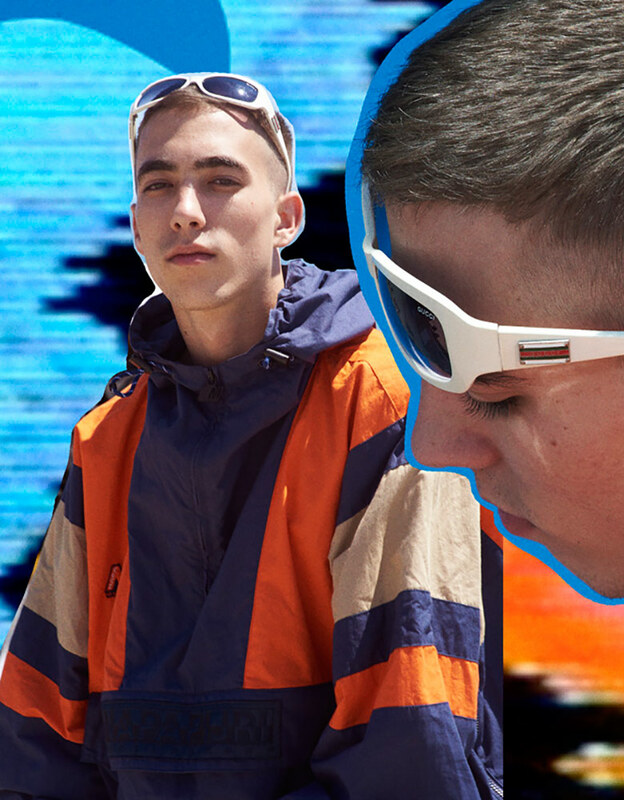 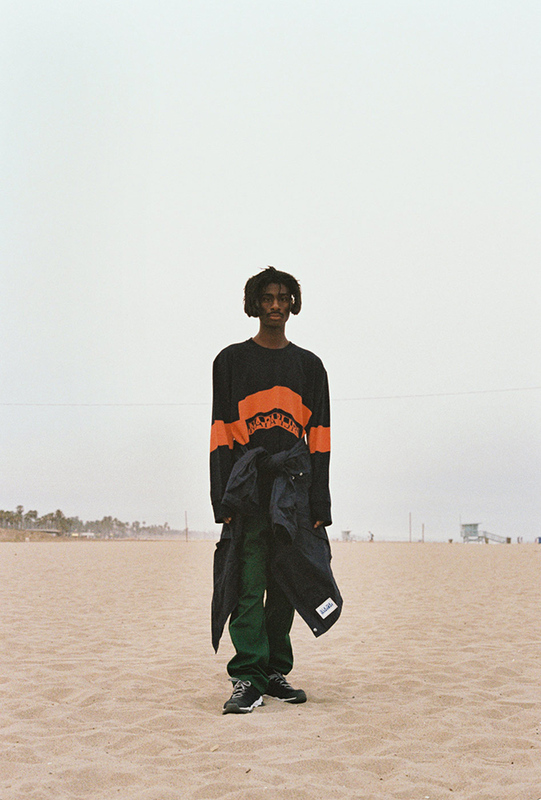 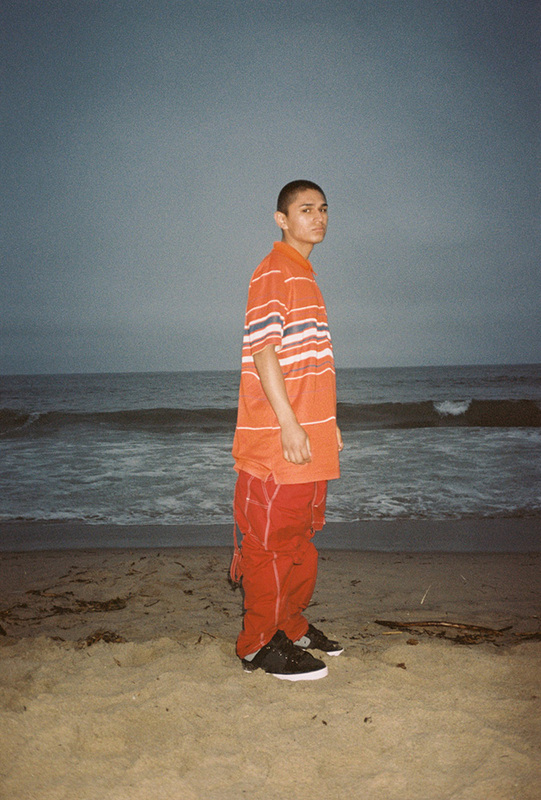 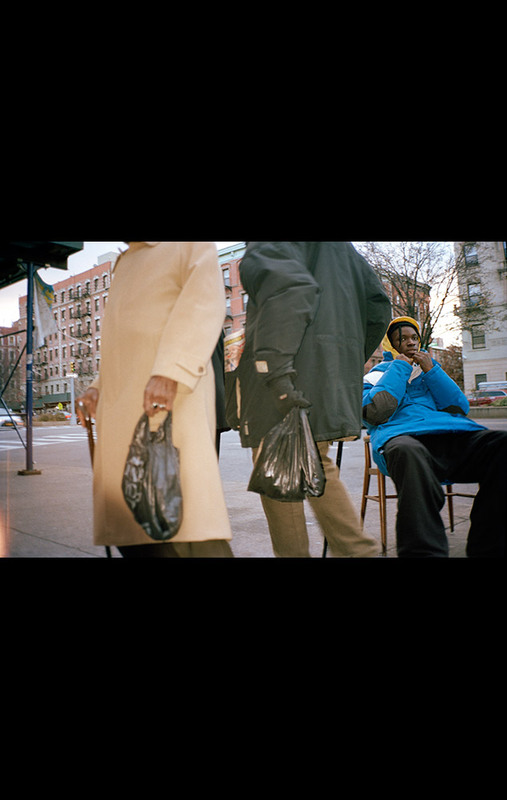 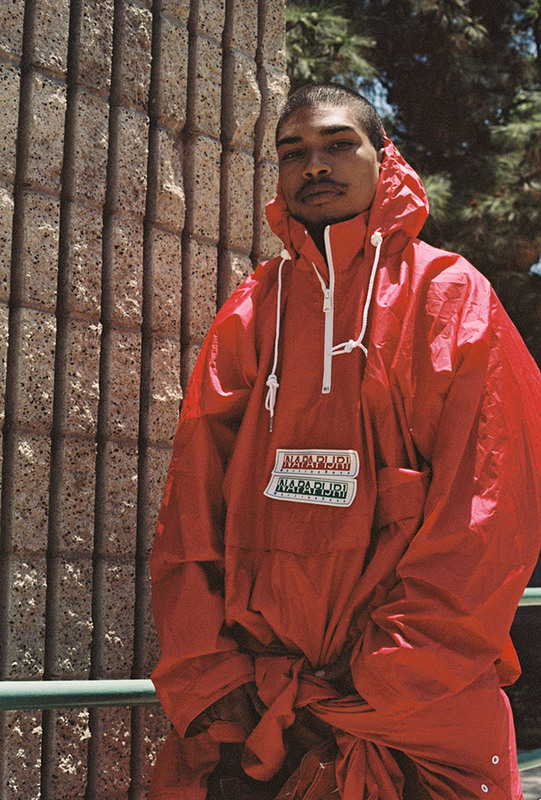 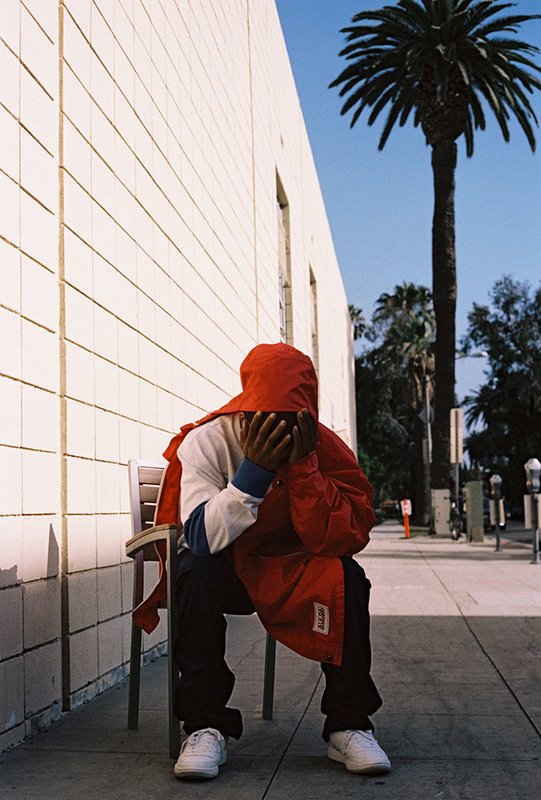 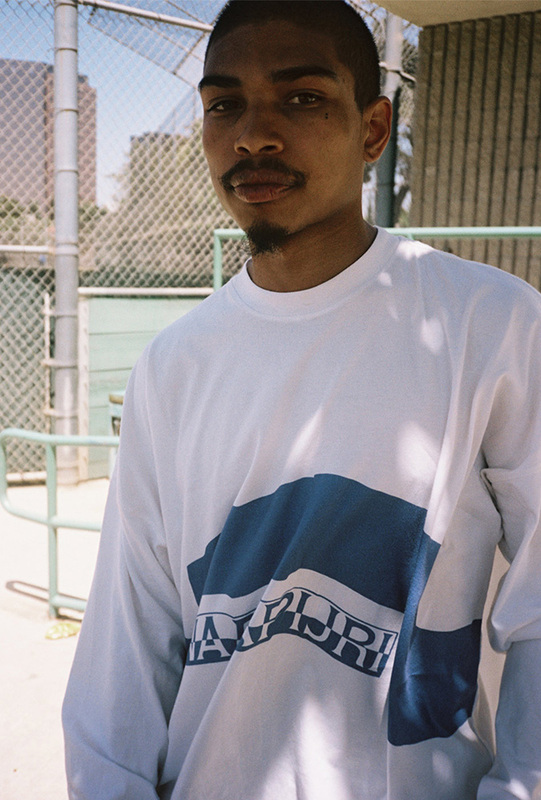 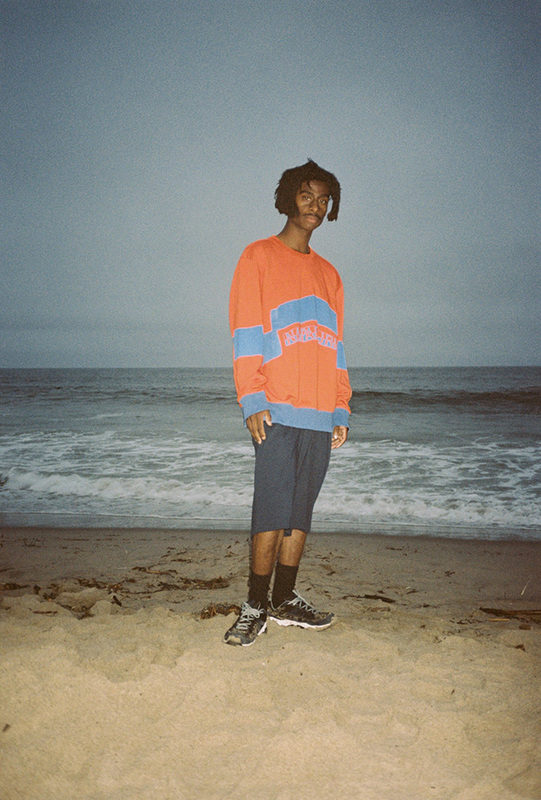 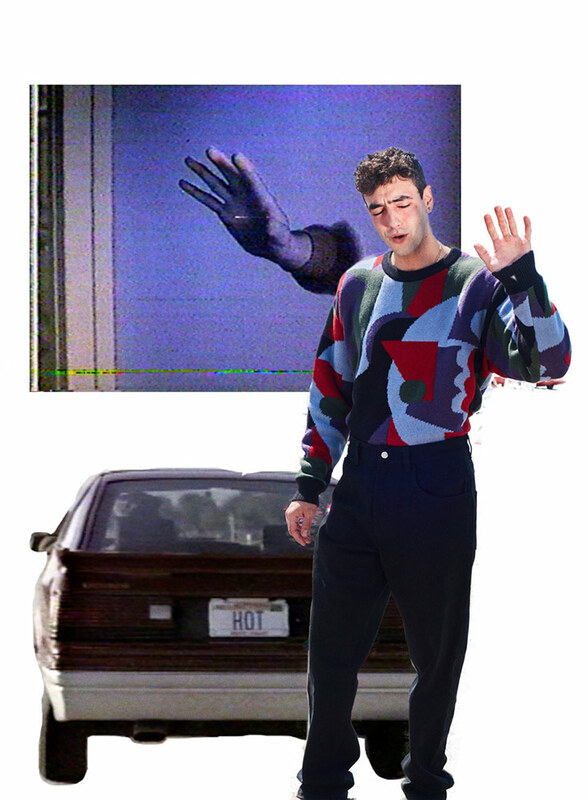 Martine Rose embarks upon her fourth Napa by Martine Rose collaborative collection with an entirely new approach; a seasonless collection. 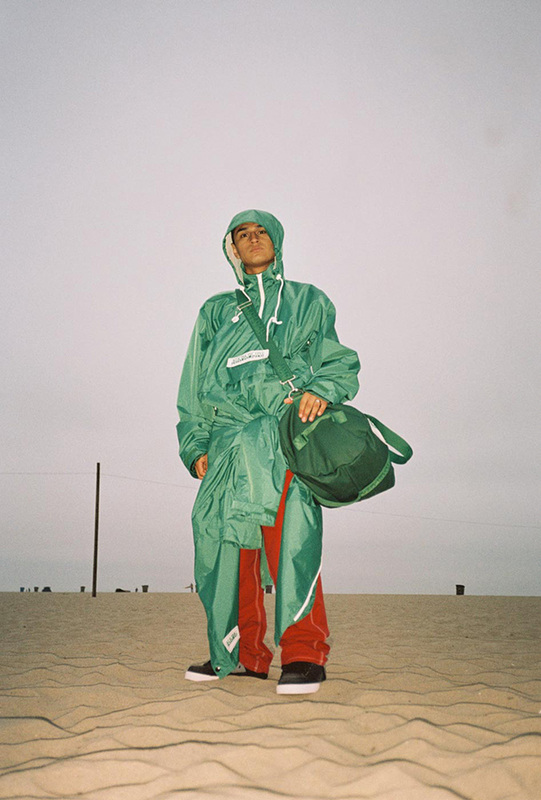 Designed to be worn all year round, the staple collection aims to present the wearer with a range of wardrobe essentials such as; zip up Jackets, windbreakers, knitwear, shorts, hoodies and tracksuit zippers. 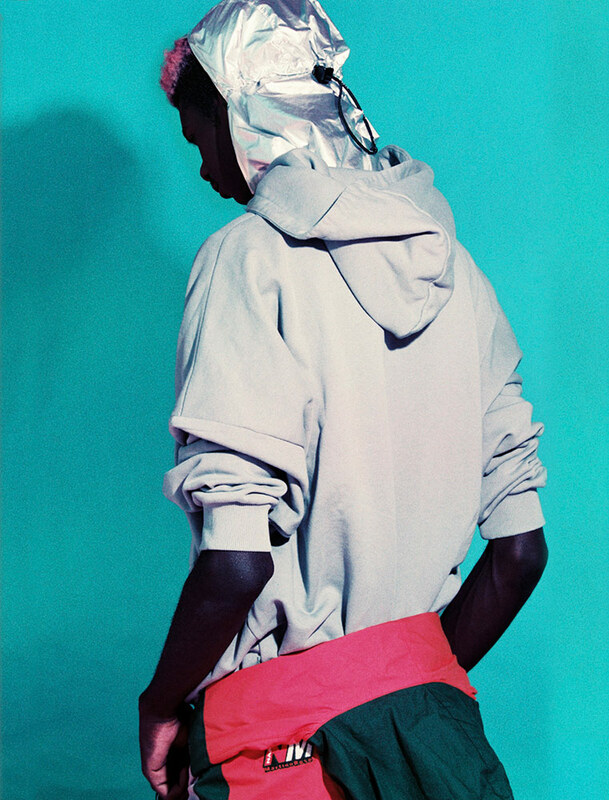 Inspired by work from the photographer Luke Batten, the collection presents an exaggerated top-heavy silhouette. 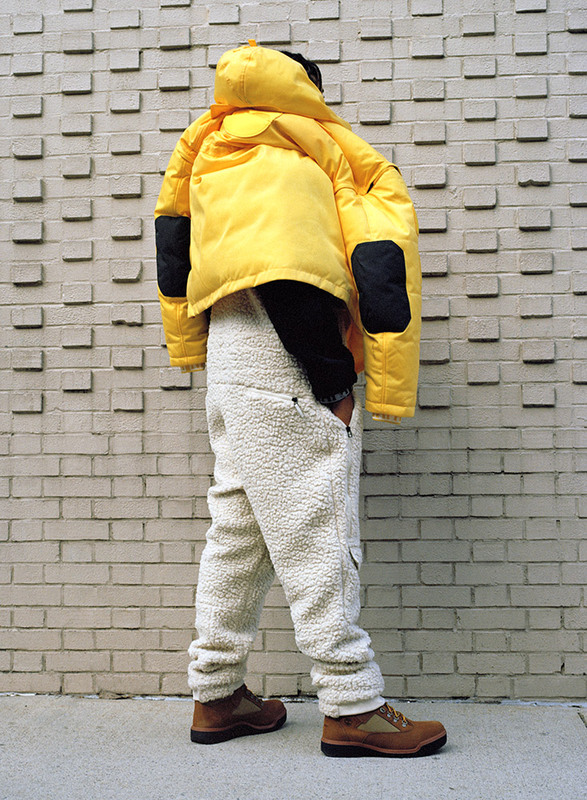 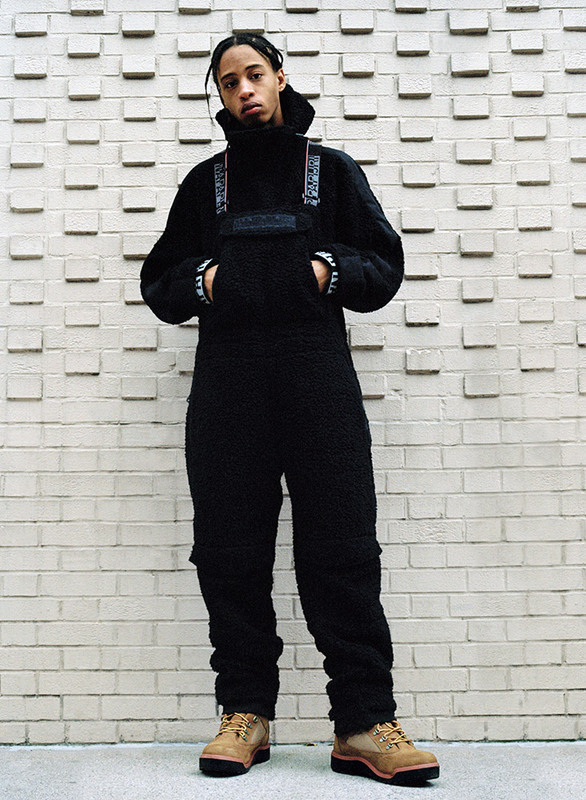 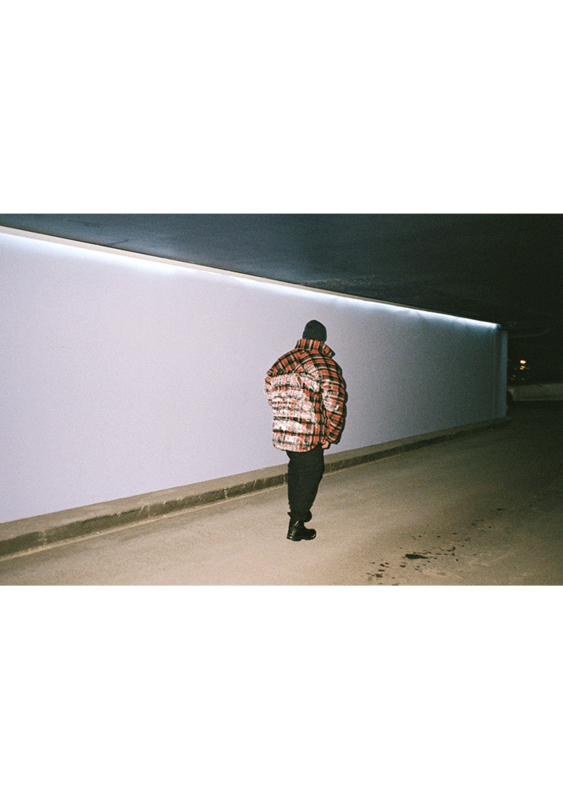 Jackets are oversized with balaclava hoods encasing the wearers face and paired with sports shorts and straight leg trousers. 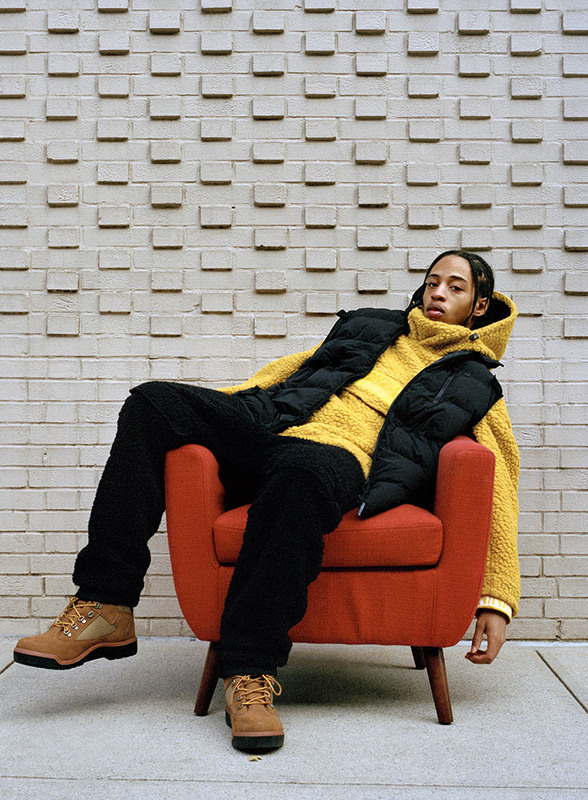 Rich Colours such as Burgundy, Purple and Forrest green are introduced to balance the vibrant oranges, red and yellows seen in the jacket panelling and knitwear. 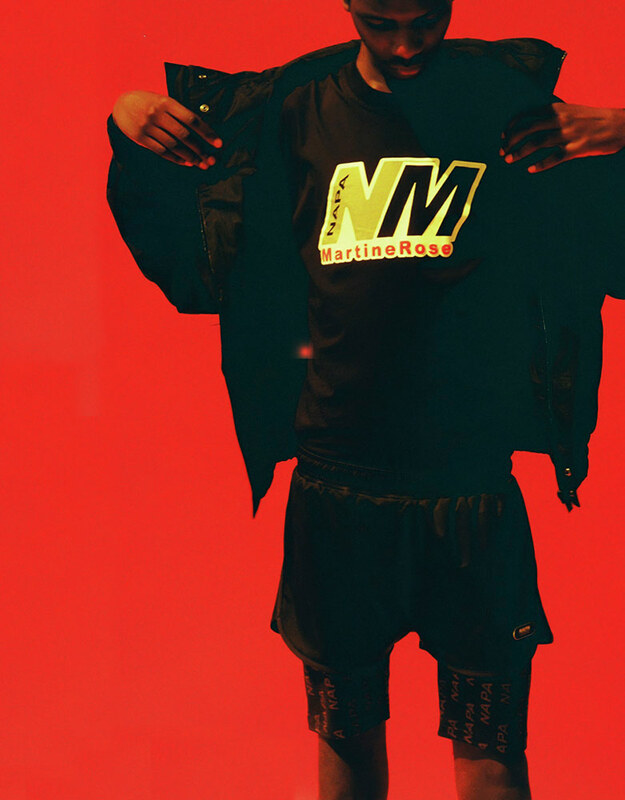 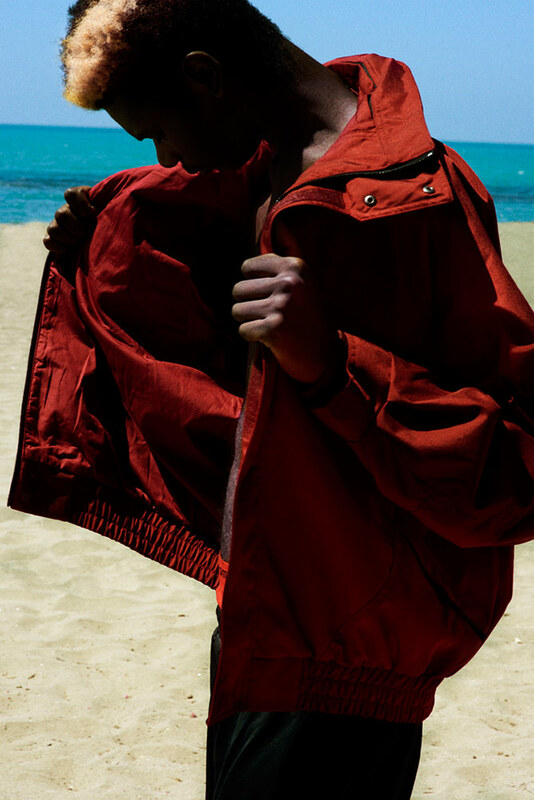 Denim Jackets in burgundy and red stripes are offered alongside matching straight leg jean style trousers and graphic tshirts emblazoned with “NM Martine Rose” are reminiscent of the early 1990's UK garage scene. 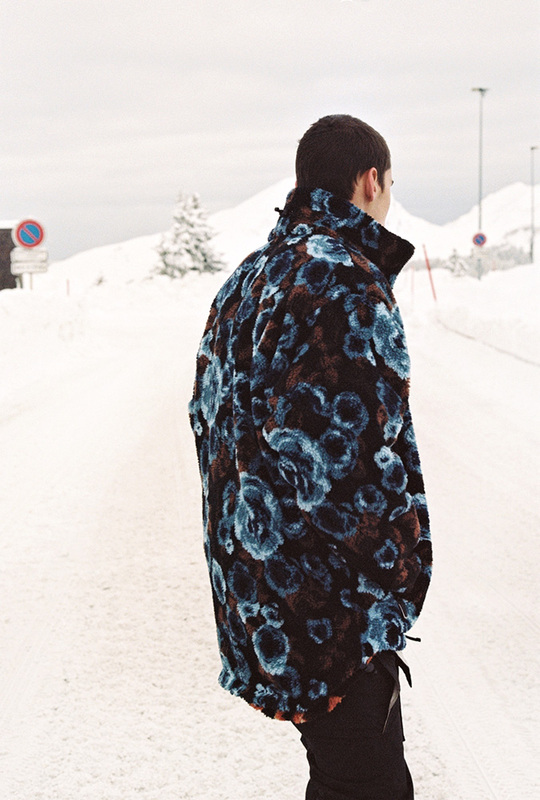 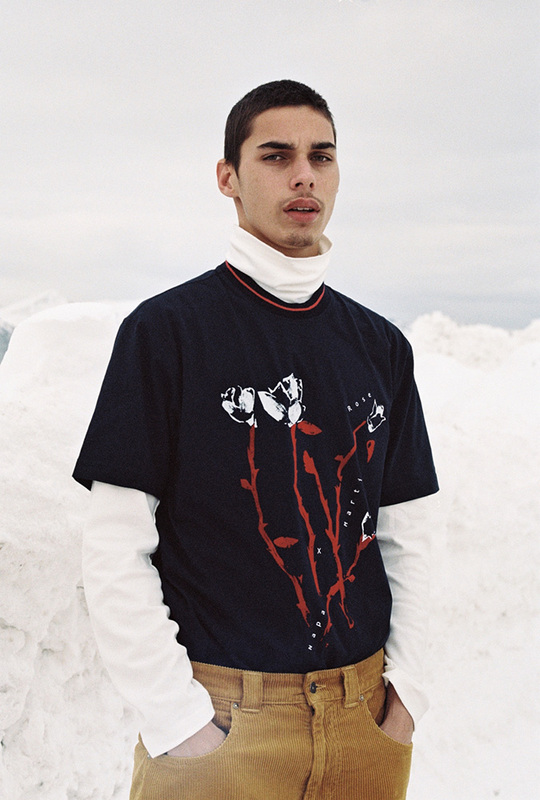 The collection also introduces a range of classic and abstract prints which sit alongside Napapijri’s traditional sportswear and technical fabrics. 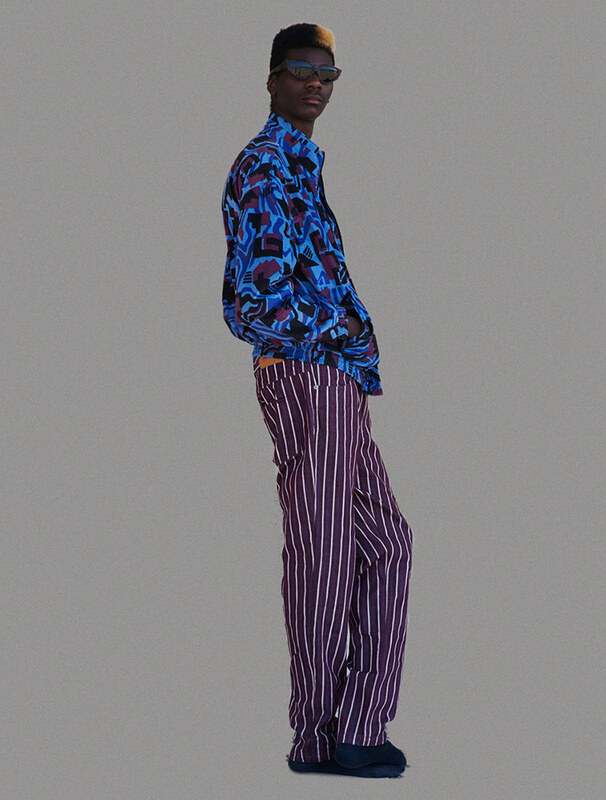 Abstract prints in a combination of screen and puff printing techniques cover both the front and back of t-shirts. 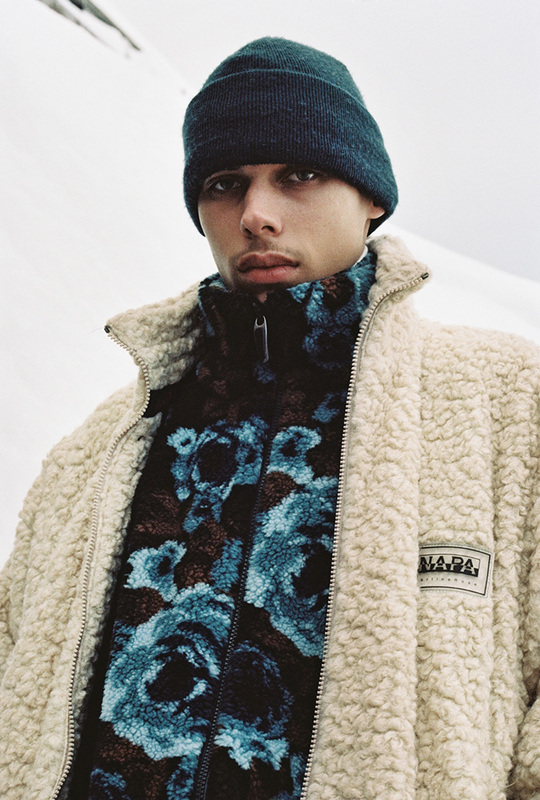 Knitwear and Velvet tracktop designs take inspiration from art deco upholstery fabrics alongside aerial views of rural landscapes across the American mid-west. 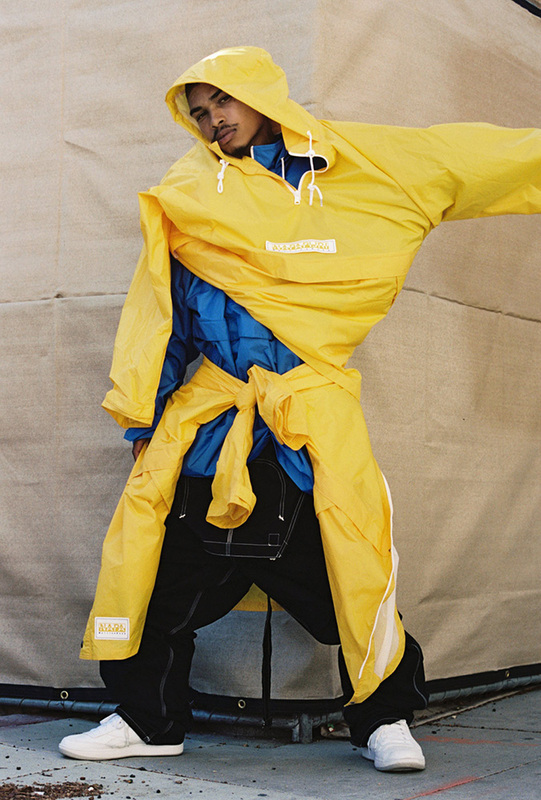 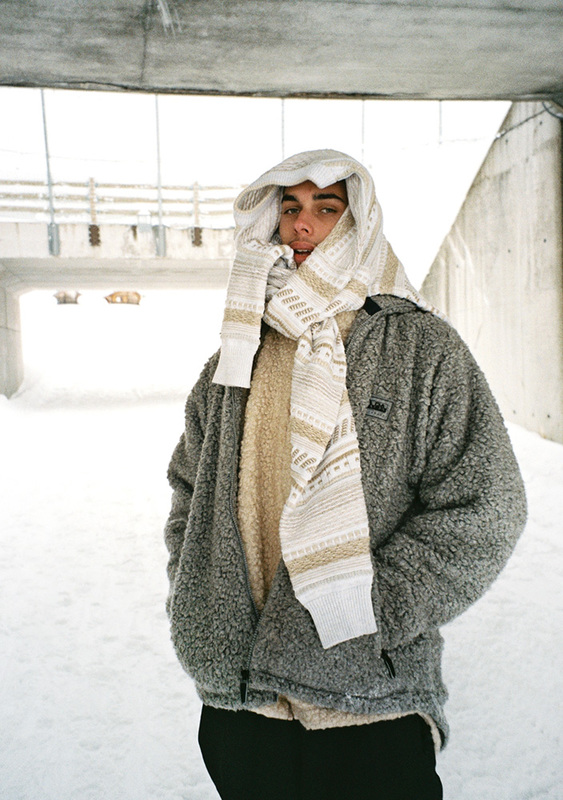 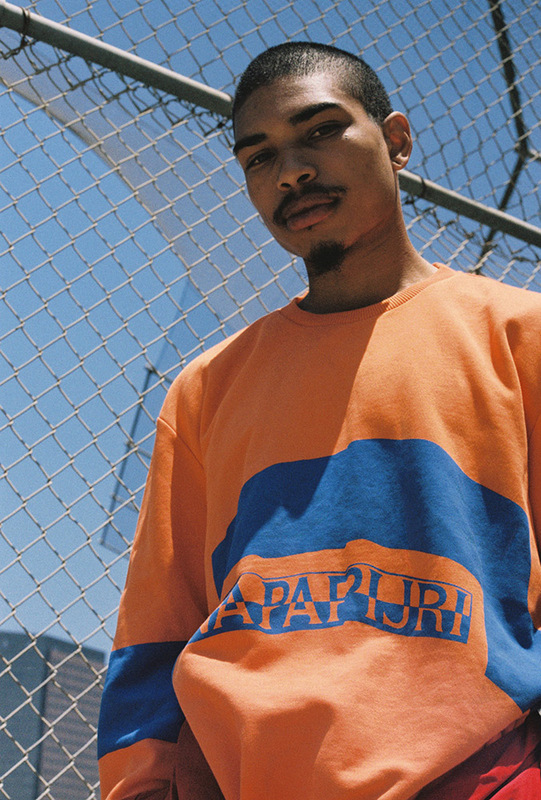 Lifestyle brand Napapijri was founded in 1987 and immediately stood out by combining innovative materials with a unique style, resulting in a new take on outdoor apparel that brought to life the now iconic Skidoo and Rainforest pullover anoraks. 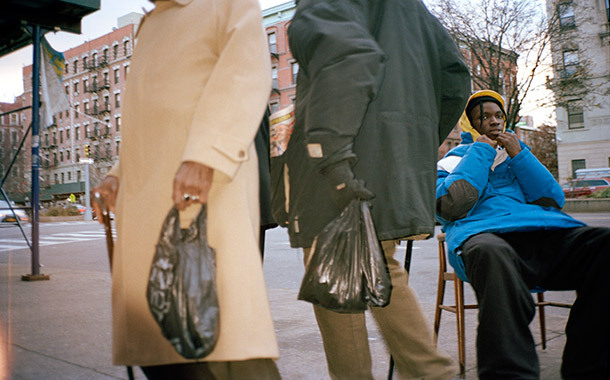 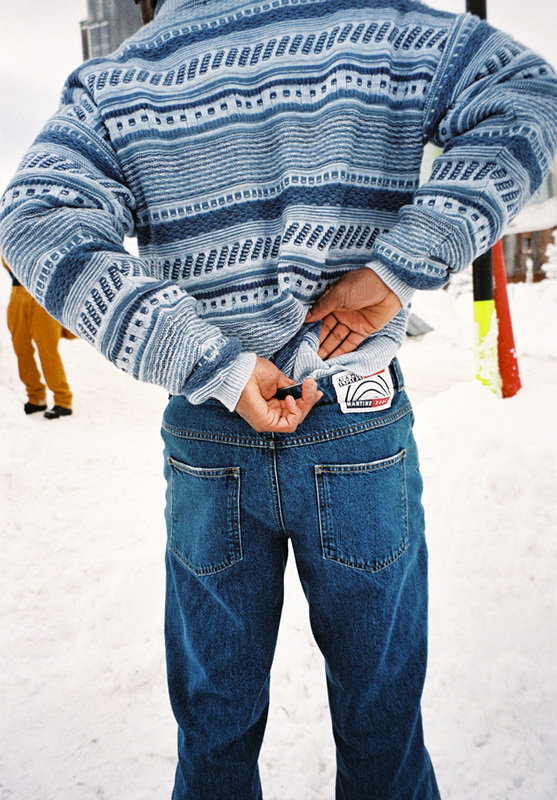 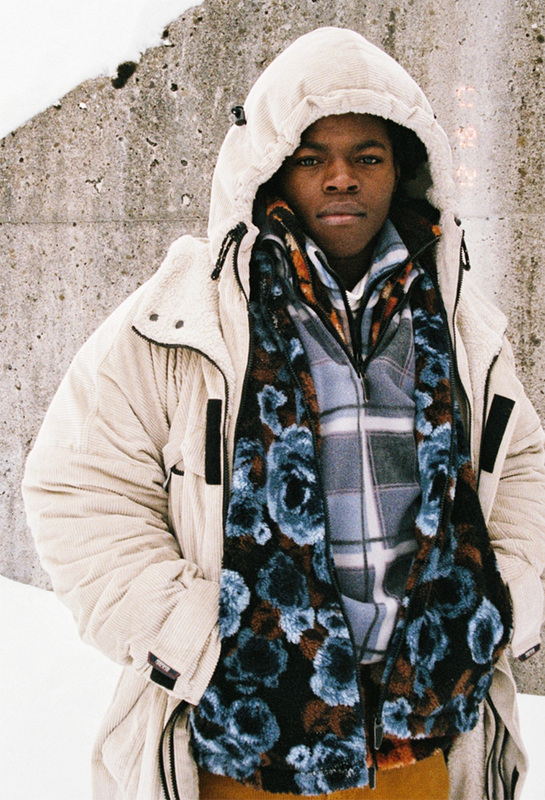 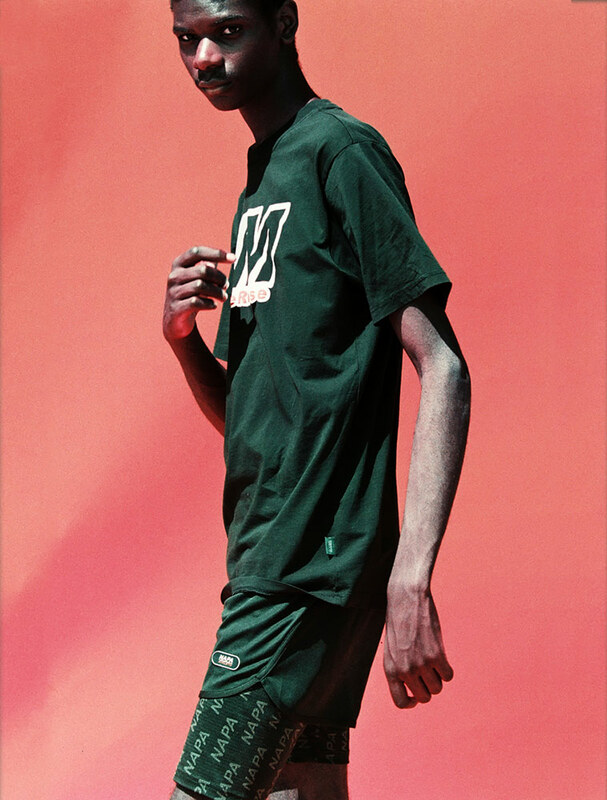 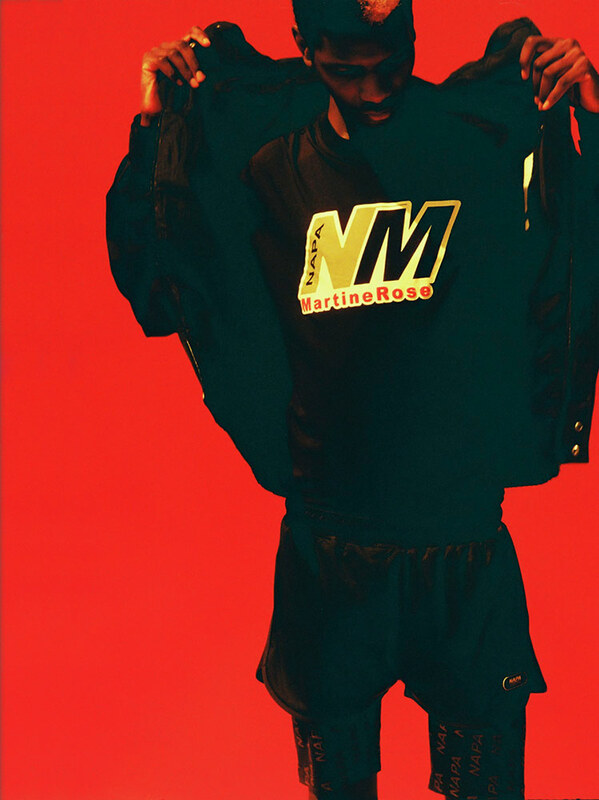 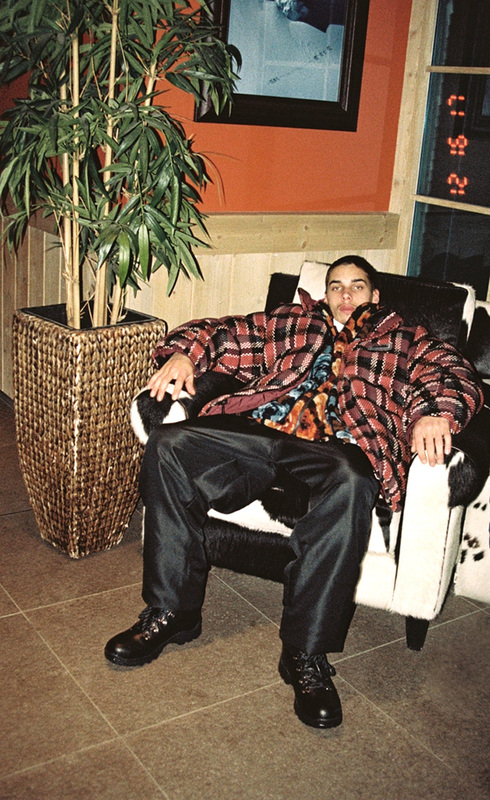 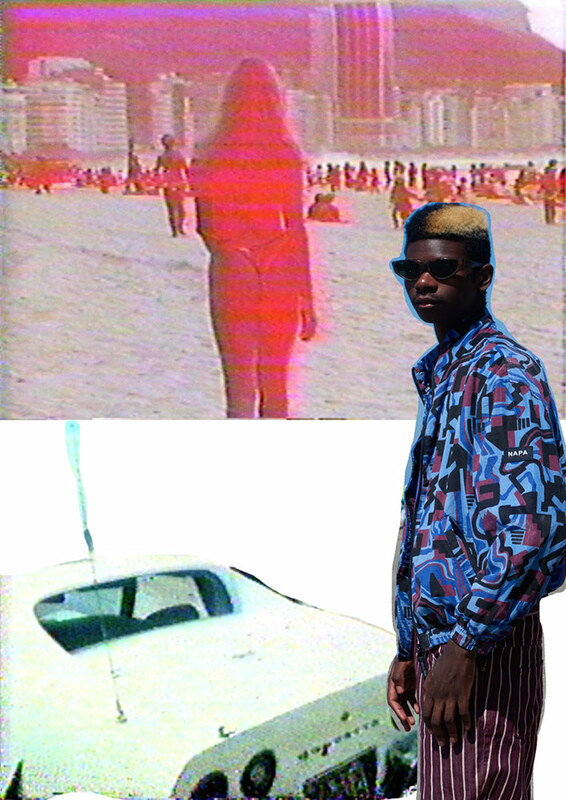 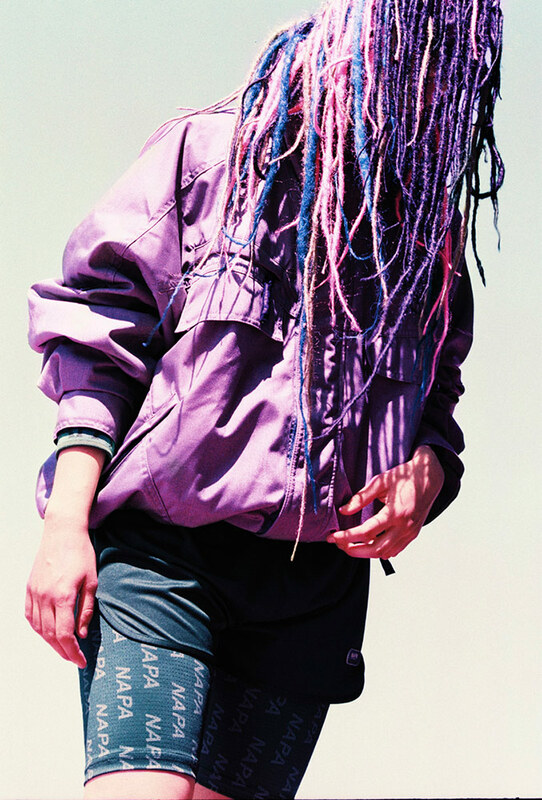 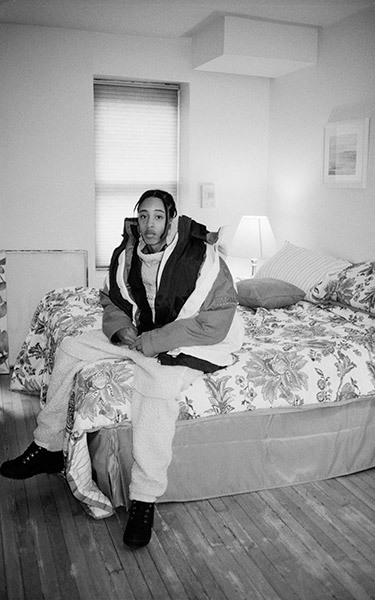 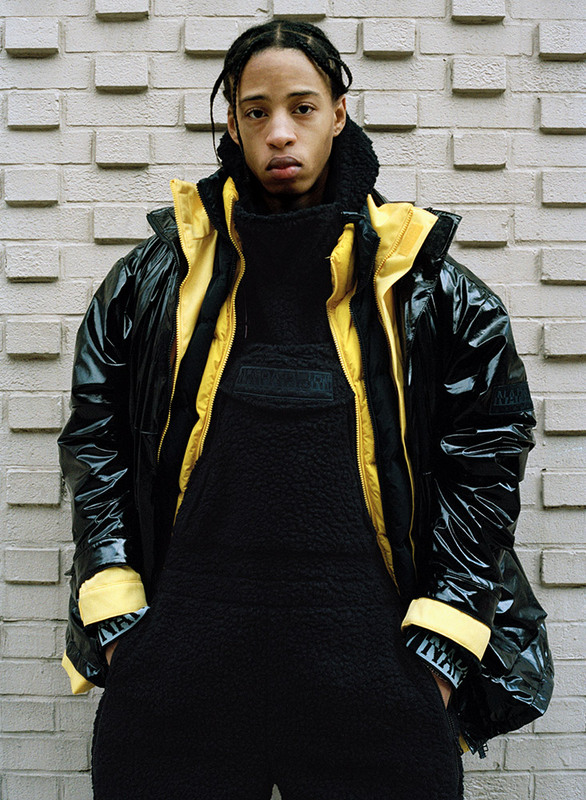 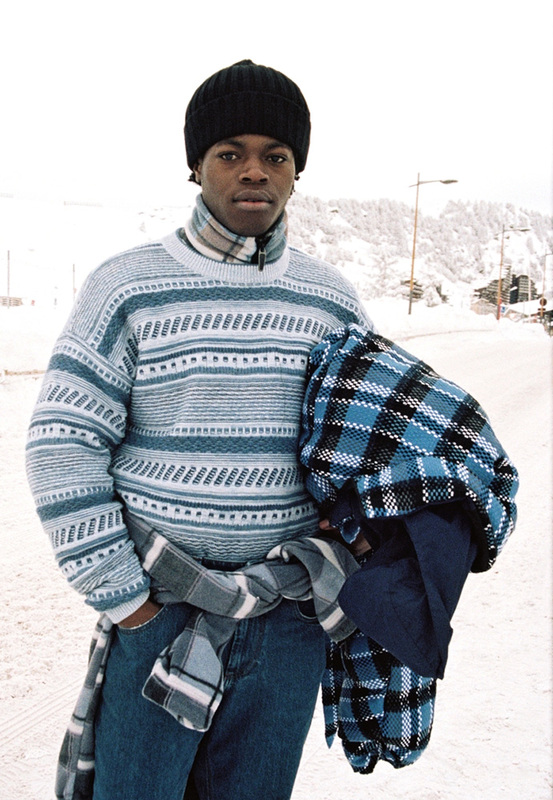 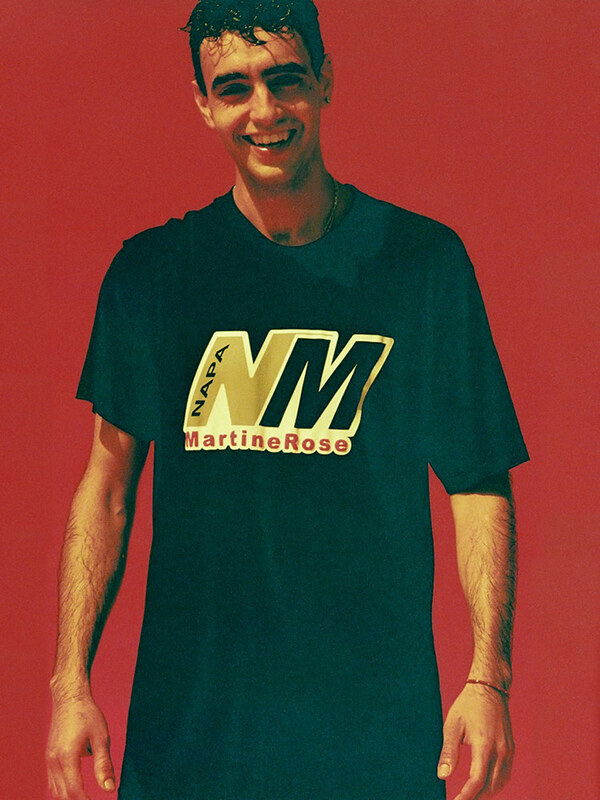 British designer Martine Rose launched her first collection in 2007 at the Blacks Club in Soho, London. 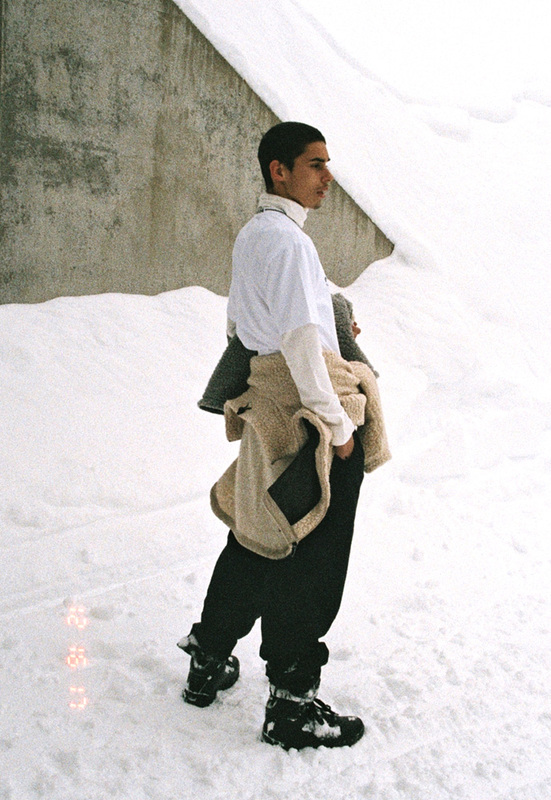 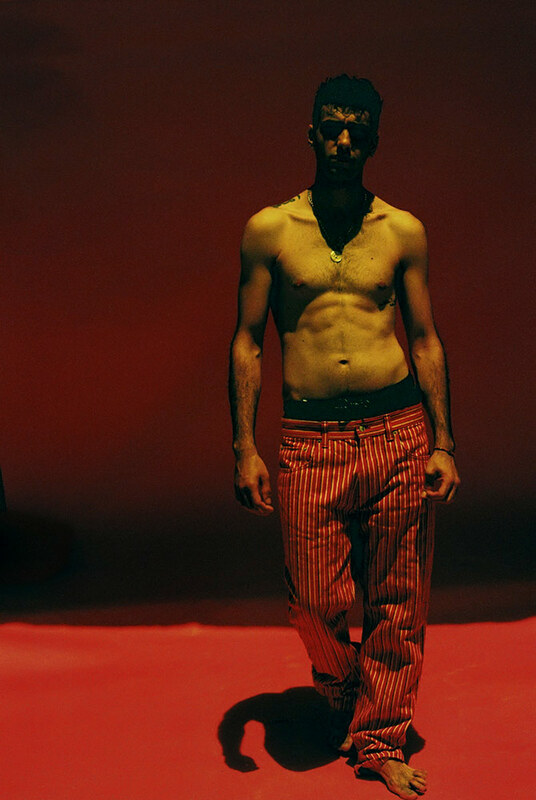 The debut collection, initially conceived as a men’s shirting label, was comprised of only 10 shirts. 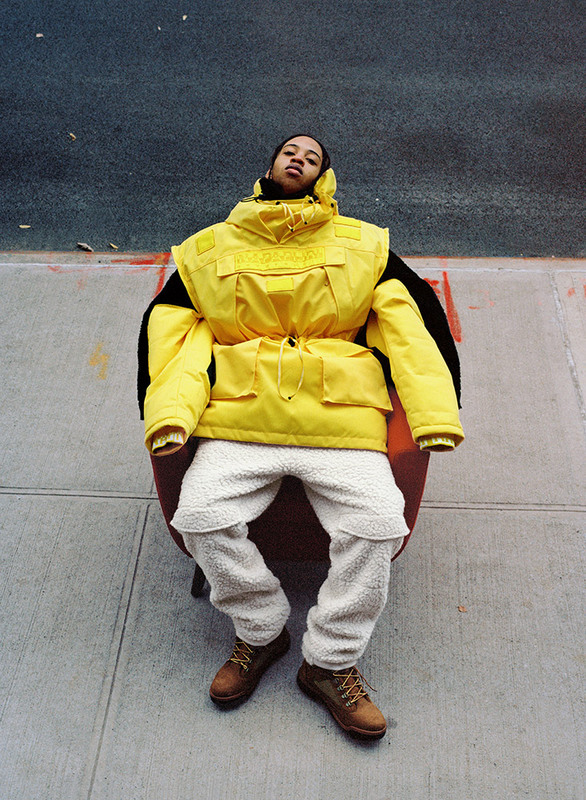 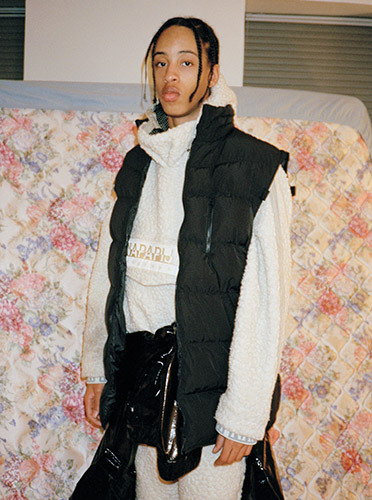 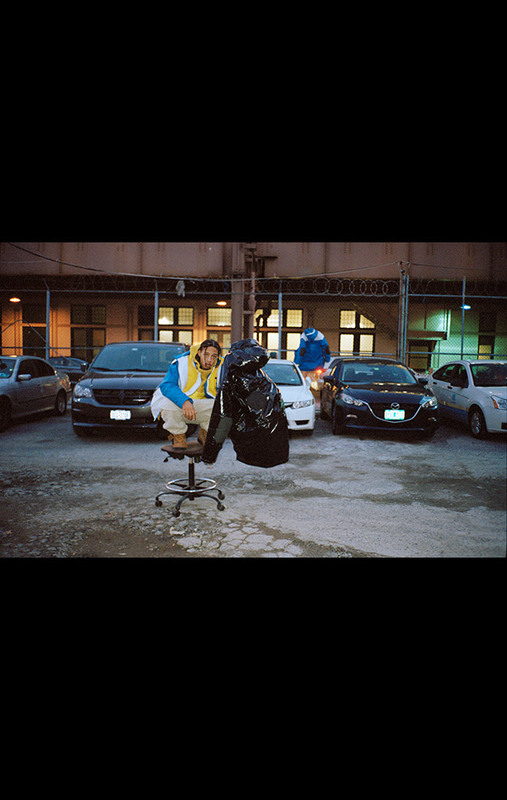 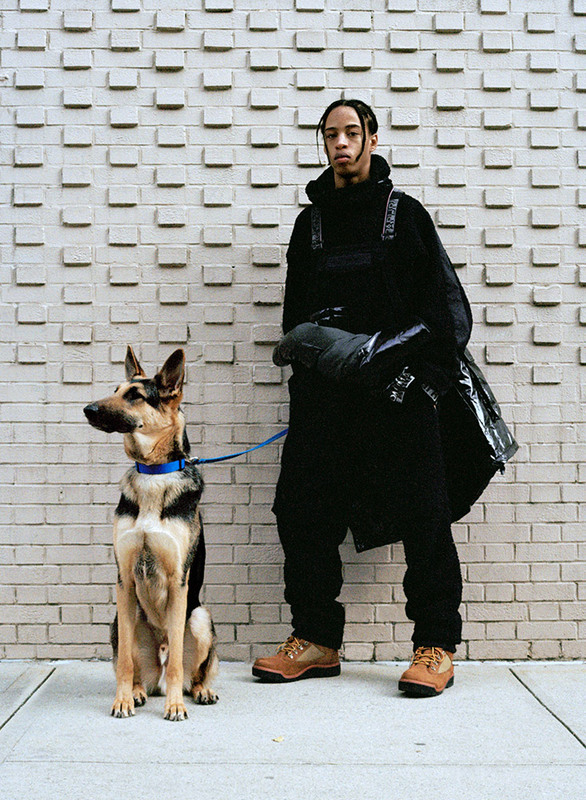 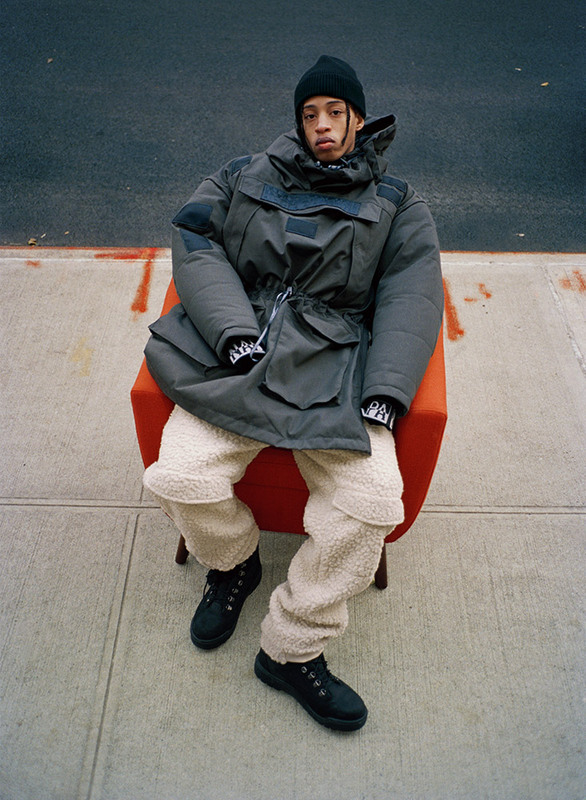 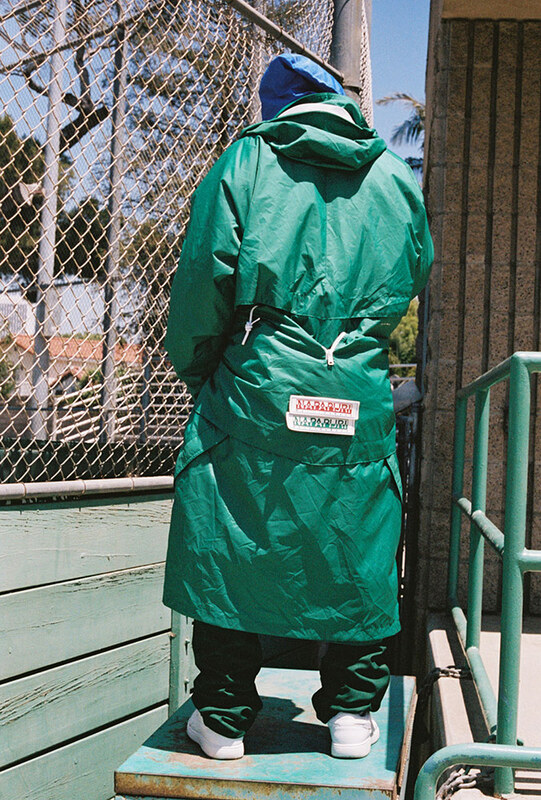 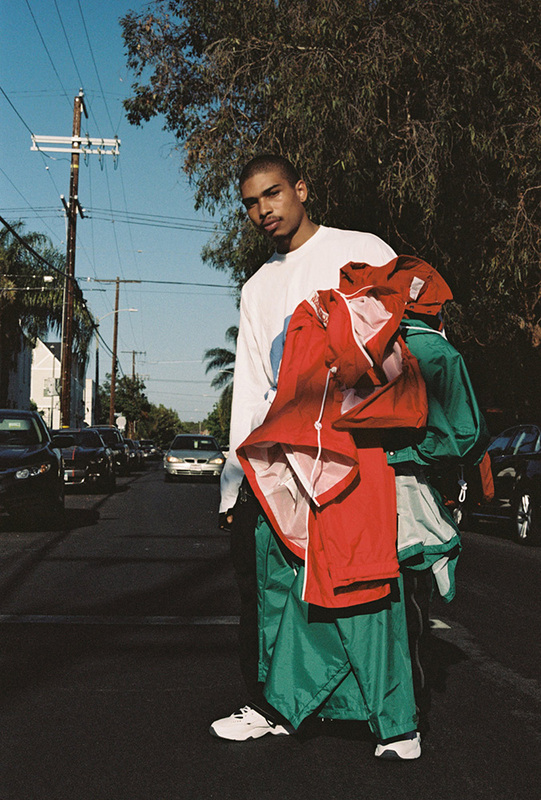 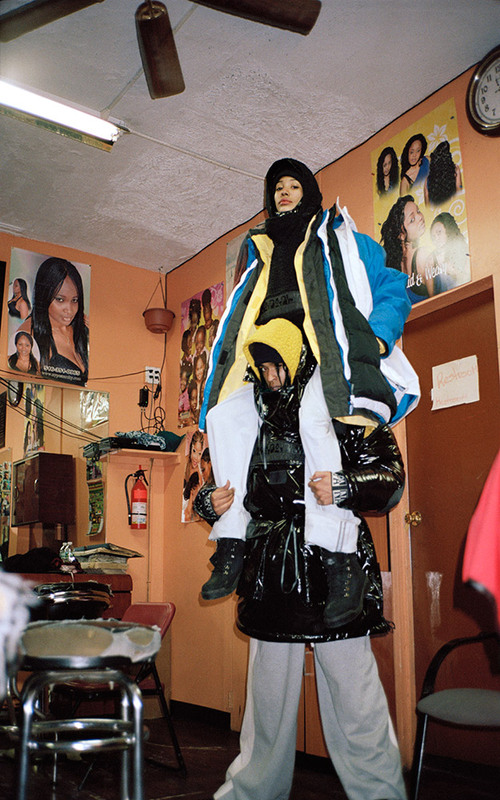 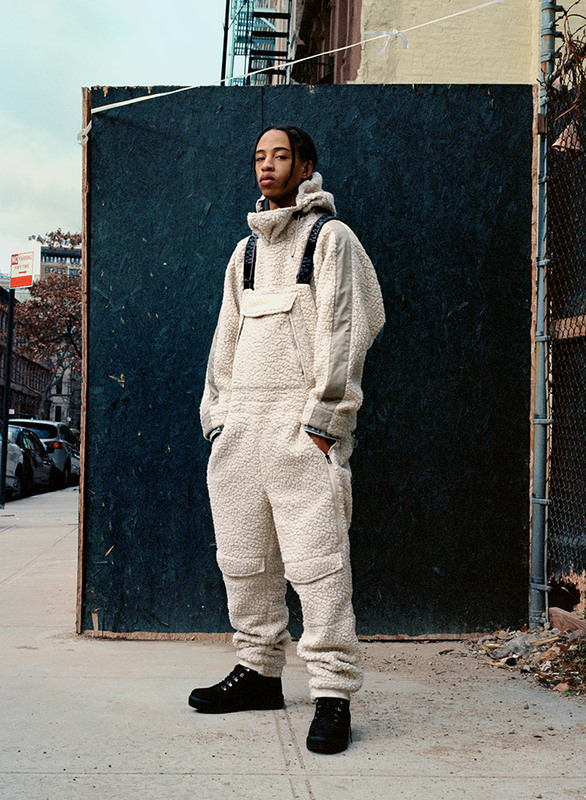 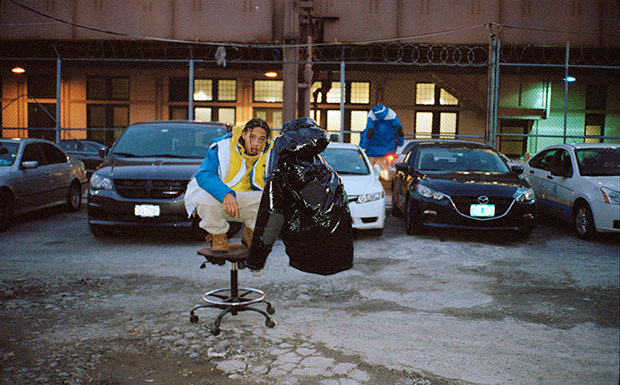 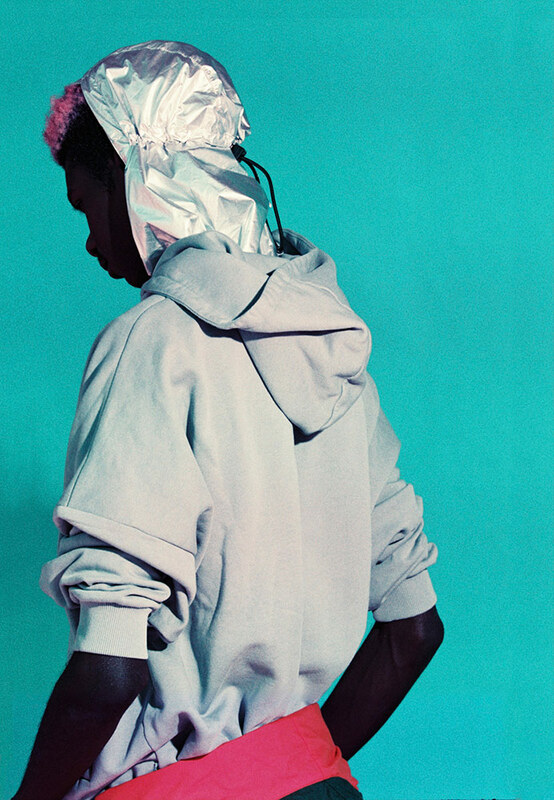 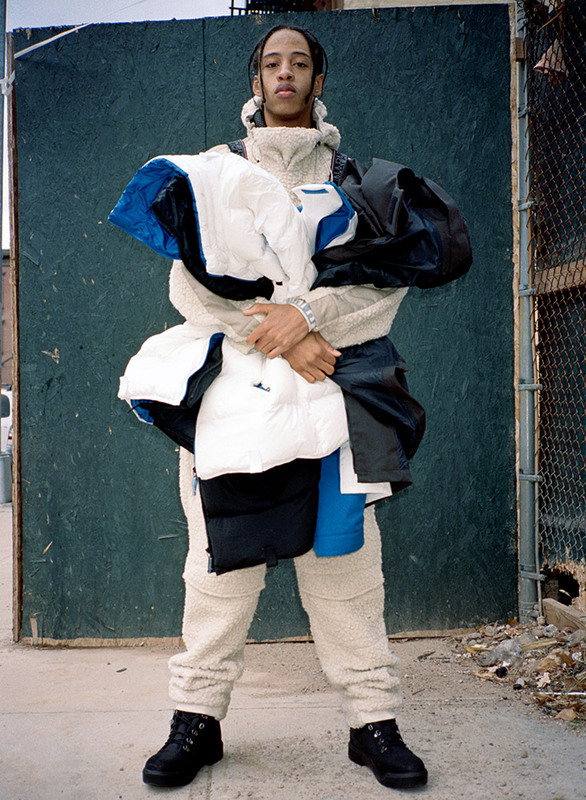 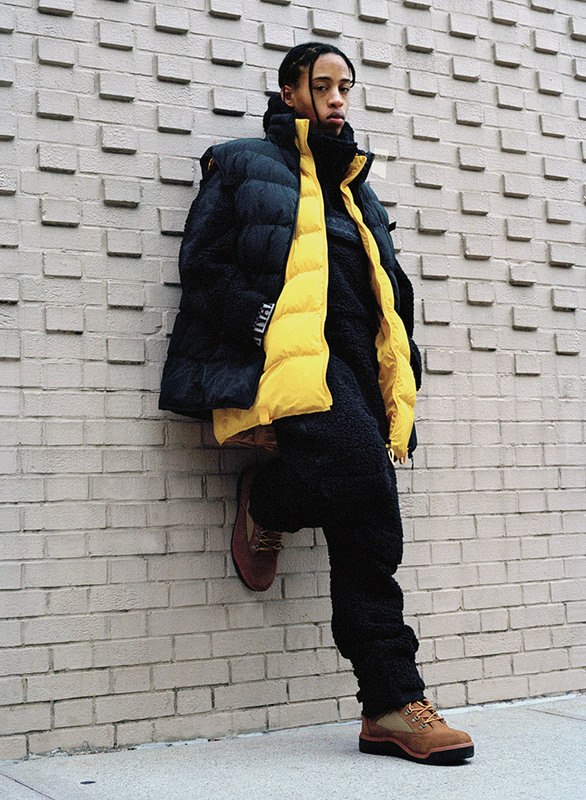 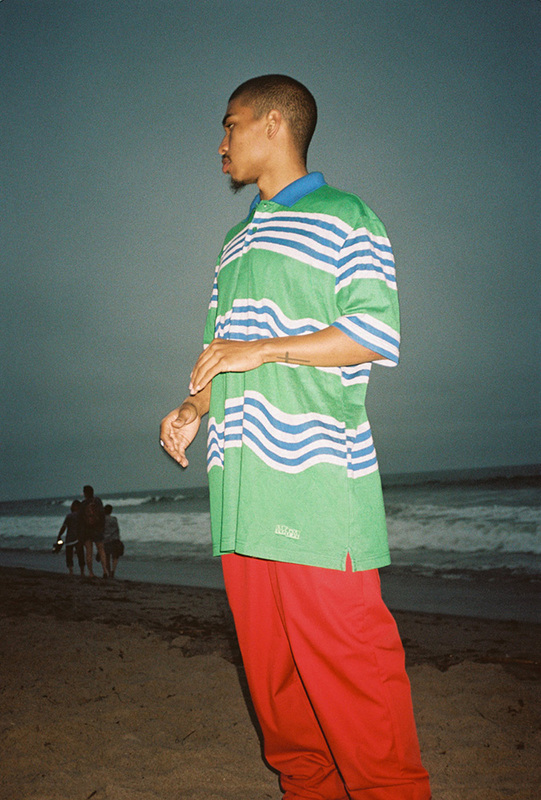 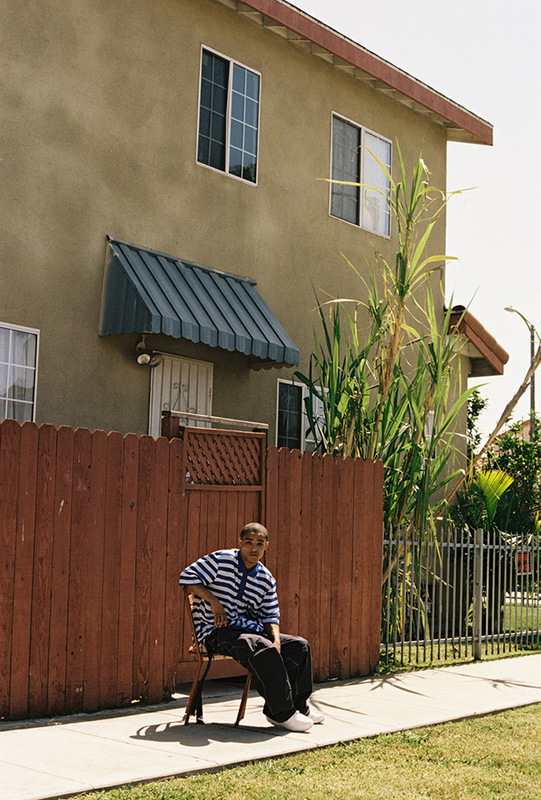 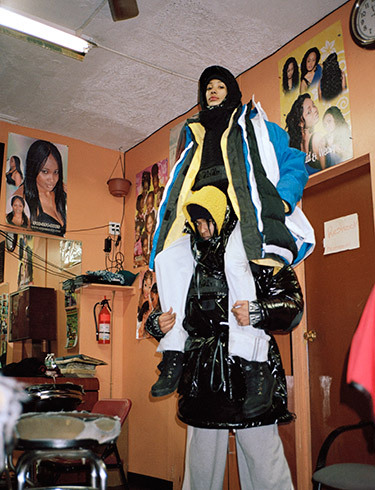 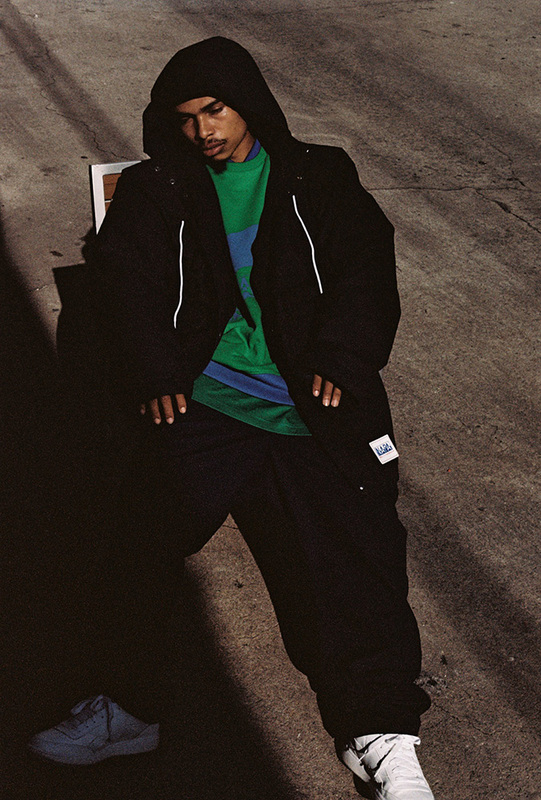 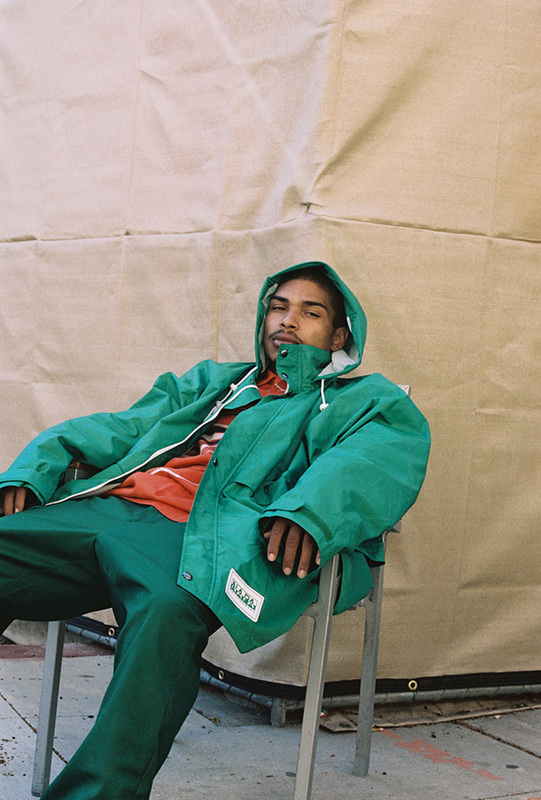 From that moment onwards, Martine Rose quickly established herself as a global design talent with recognition of her work gaining plaudits across the industry. 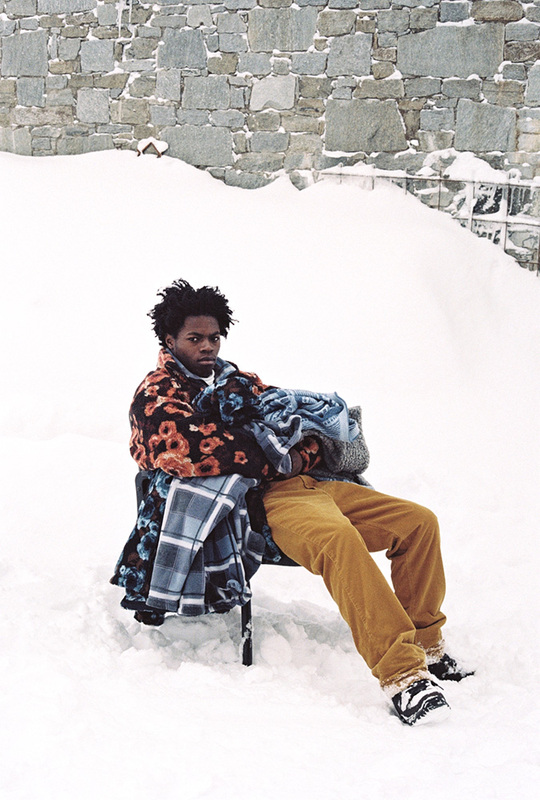 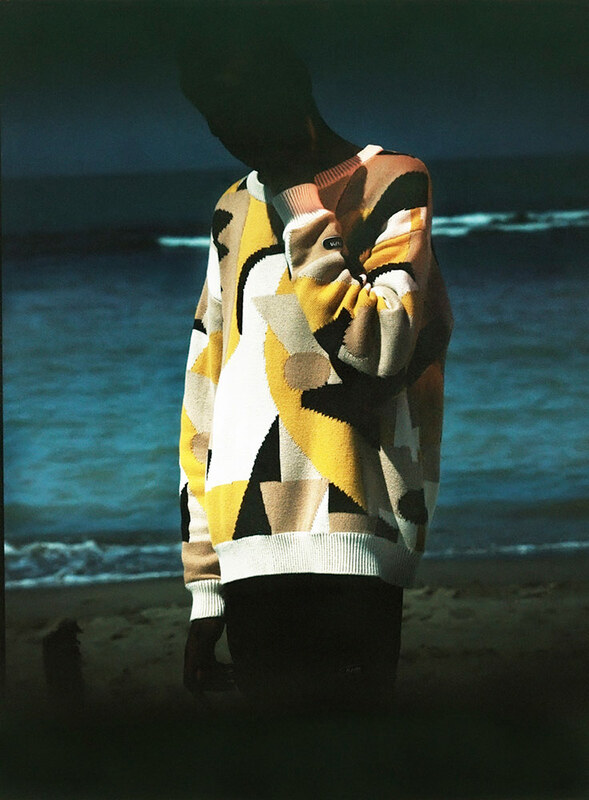 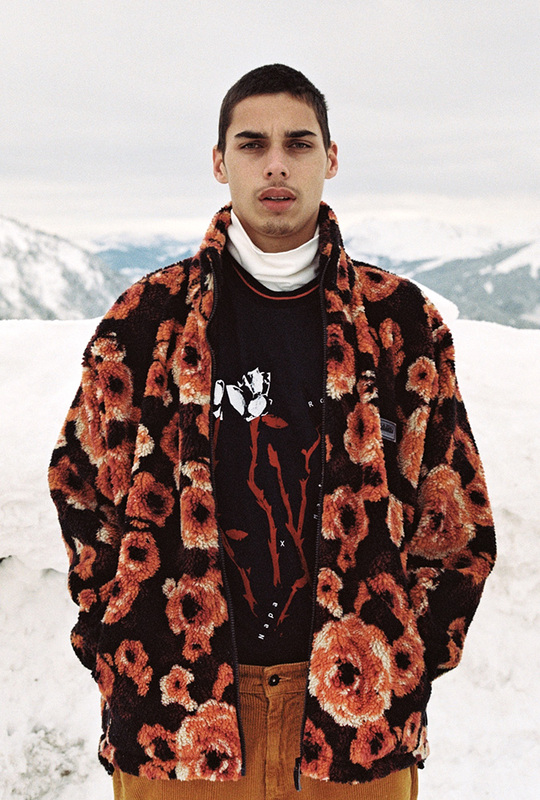 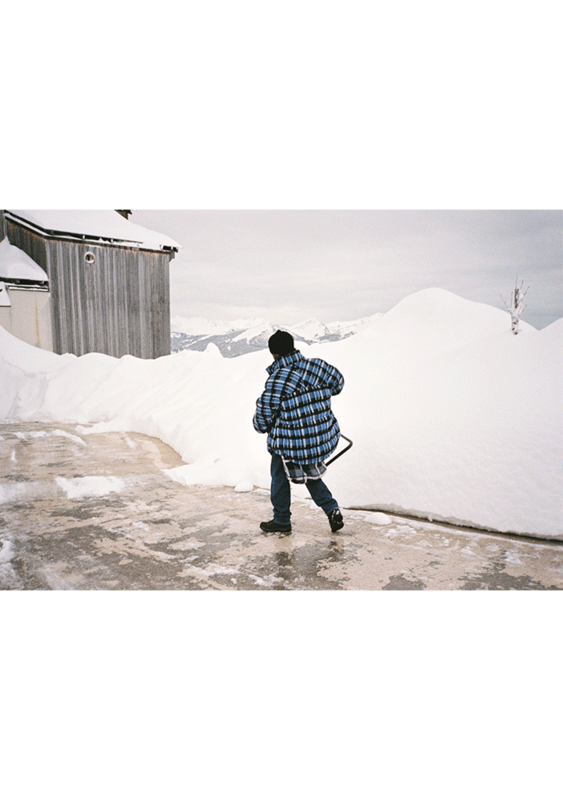 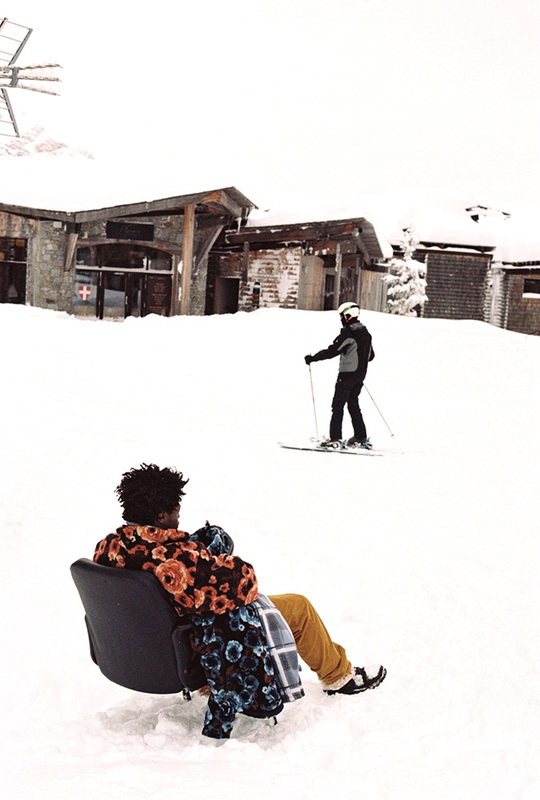 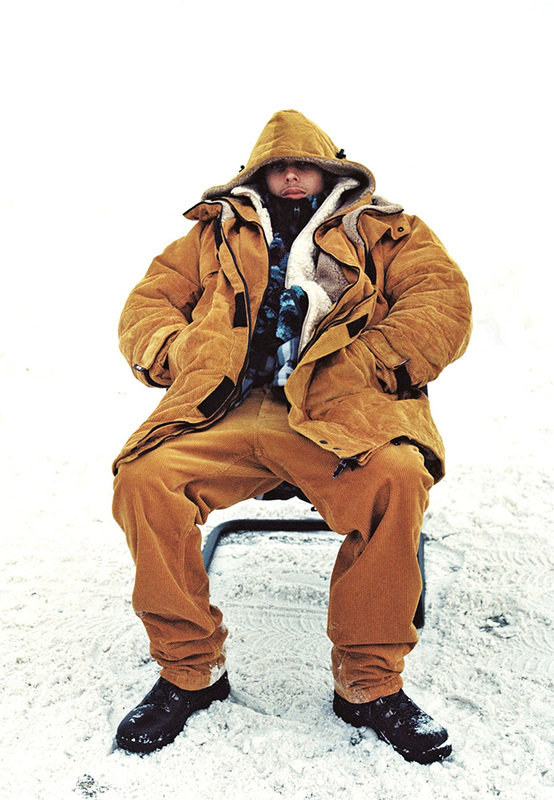 The designer’s bursting talent fostered collaborations with heavyweights such as Wallpaper Magazine, Timberland and CAT Footwear, as well as the opportunity to closely work with some of fashion's brightest stars, including Arena Homme+ editor Max Pearmain, Tyrone Lebon, and Poppy Bartlett. 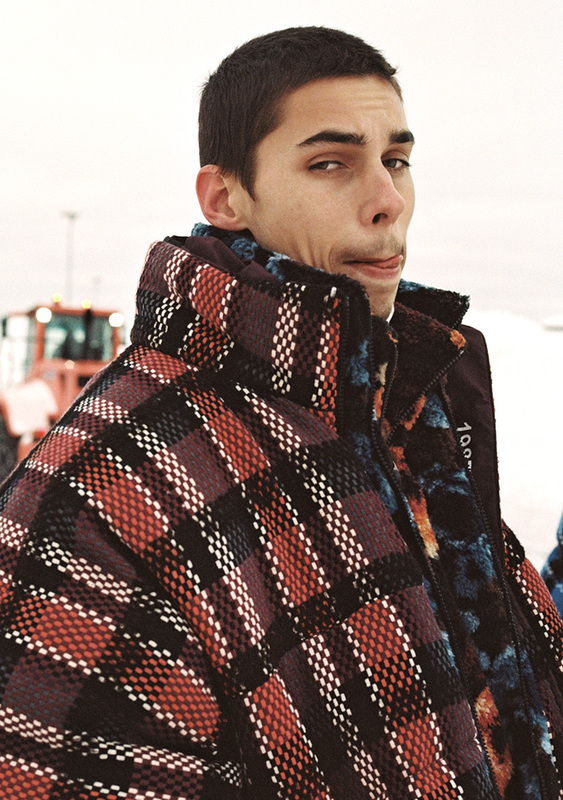 For FW17, Martine embarked on a new and exciting collaboration with Napapijri where she took inspiration from the brand’s most iconic outerwear jackets. 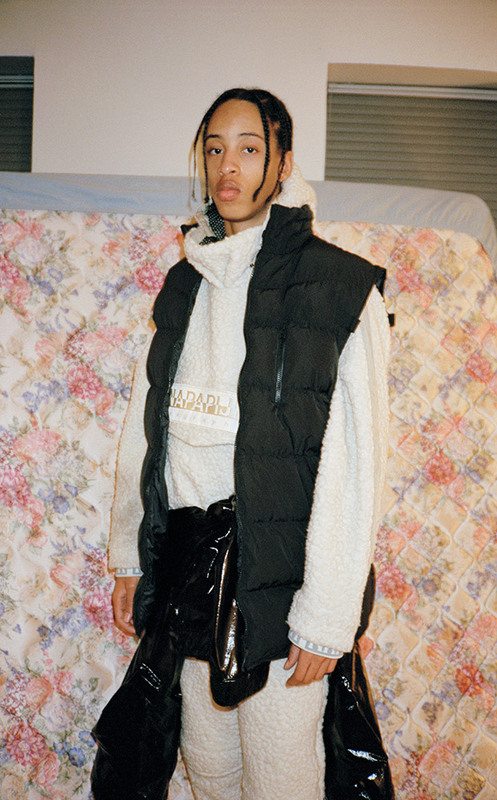 Through this collaboration, Martine built on her long standing relationship with London based creative talent Marfa Journal, who developed and curated the distinctive imagery for the campaign. 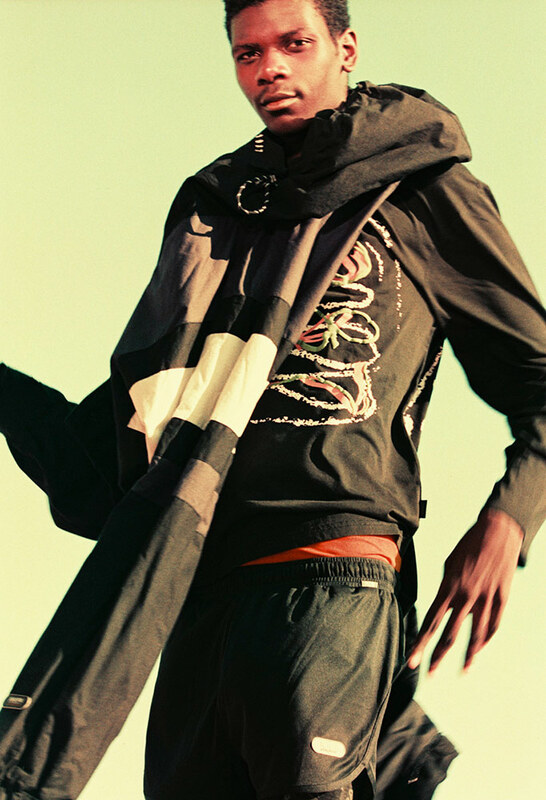 Set up by Alexandra Gordienko and inspired by the culturally hyperactive Texas town, Marfa is pure burning creative energy packed in paper, and a screaming manifesto of artful insanity.